It is now September and the stores are filled with pumpkin spice. I've been waiting for this season since the end of last year. Summer vacation is fun, but the actual season of summer I could totally do without. I've been a little absent from the blog lately, and that's something I'm hoping to rectify going forward. I hate to make excuses, but y'all, parenthood is no joke. It is HARD raising both of these littles. Preston works a full time job, goes to school full time and just got a second part time job. Parker is a super needy baby who is most happy being held and Lucy has reached that terrible two phase where everything goes her way or it doesn't go at all. Sometimes I just want to give up, throw in the towel and call it quits. But I keep going and I keep trying, because this is my outlet. 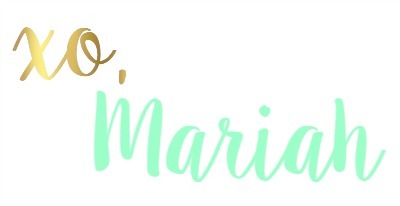 My blog is where I share what I love and I love all of the connections that I have made (and keep making!) through this platform. It's been so fun and as hard as it gets to keep up with everything, I think I'll stay a little longer. That being said, I'll jump back into the swing of things with some of this week's highlights! 5.) Parker turned 4 month's old recently so he is officially out of the newborn stage! Cue all the tears. There's a good chance he is my last baby so I'm soaking up all the baby milestones with fervor. I love these monthly milestone cards from Milestone Baby; they have every month and even a few fun cards I never thought to capture like Today I Got My First Tooth and Today I Took My First Steps! You can check out all of the cards and learn more HERE. 4.) 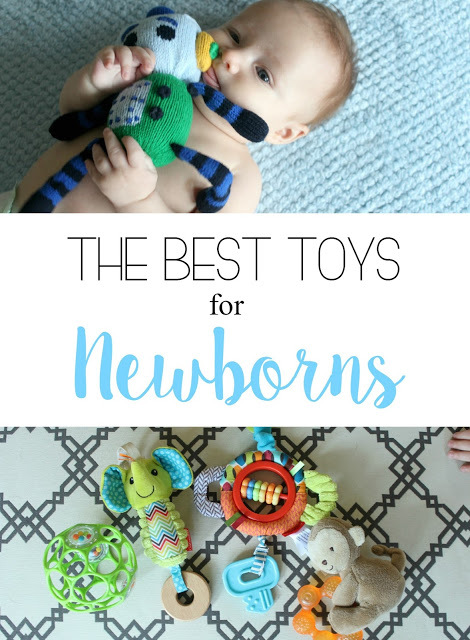 I also shared our favorite toys for the newborn/infant stage on the blog this week! I love our new Robot hand-knitted rattle buddy from Finn + Emma. There are some great Christmas gift ideas on here, for future reference! 3.) I can't blame my absence totally on the kids...we've been painting our whole house. By whole house, I mean I live in a split foyer that's a fairly open floor plan and the living room, kitchen, hall way, entry way, and downstairs entry are all connected by at least one wall. It's been a major pain, but I'm sooo happy to be almost done. Can you believe these walls were previously color blocked in a yellow-y beige, avocado green, and dark rust orange color? Bring on ALL the neutrals! 2.) My JORD gift card giveaway is CLOSED. Congratulations to Hannah Norris on being the big winner! Everyone else who entered should enjoy a $20 e-gift as well! I'm so stoked to start fall off with this pretty plum accessory! 1.) Yesterday's weather was in the 70's for a change so we took our playtime outdoors for a while. I know I'm ready for the holidays, but this Halloween bucket is actually just where our sidewalk chalk lives. Also, can we talk about those tiny tennis shoes? LOVE. I completely relate to this post! I disappeared completely for about 2 months. With 2 kids and the house ( SLOWLY remodeling), I just wasn't up for it. You are lucky your painting is almost done! Hang in there! Bless you for painting with littles around! What an adventure! Bless your heart - your husband's schedule would be a challenge even without the kids! My husband works a lot of long hours and extra jobs, and it's hard to keep things going all by yourself. The blogging community is an encouragement (and sometimes a lifeline) for me - it's encouraging to know I'm not the only one walking that road. Hugs!